One man exhibitions are usually planned months, if not years, in advance. Images are processed to perfection, the images to hang are chosen after careful consideration, and the hanging plan given considerable thought. So last Tuesday when I was offered my own one man exhibition to be hung today – less than one week later – I obviously jumped at the chance, after all I am nothing if not an opportunist. 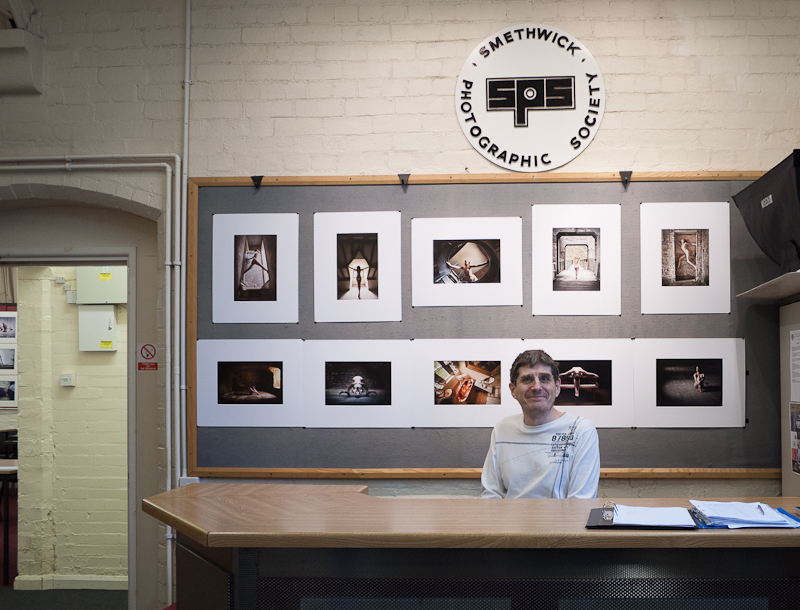 The club room of Smethwick Photographic Society plays host to various prestigious exhibitions including all of the major Royal Photographic Society exhibitions, the London Salon of photography and the Smethwick International exhibition. Well this evening there are 113 of my prints hanging there, including 50 new images worked on, printed and mounted over the Easter weekend. I hadn’t planned to do much over the bank holiday anyway! Thanks must go to John Hartshorne for lending me some mountboard and mounting 12 of the prints, Dinah Jayes for using her expertise in producing an on-the-fly hanging plan and helping hang the prints, and Rebecca Parker for also helping with the hanging of the prints. With Dinah’s expertise you would not think that they were just a selection of random images of mine. Thanks must also go to the models who appear in a lot of the images, far too many names to mention, and also Judith Parry for giving me the opportunity to show my work. 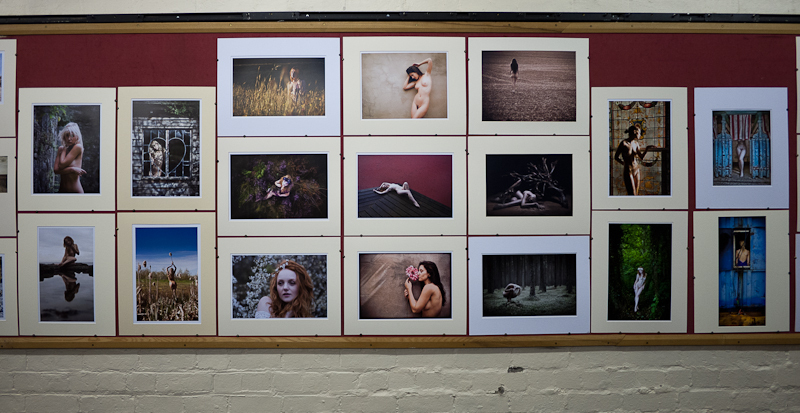 While a couple of the images could do with a bit more work on them, overall I’m over the moon with how the exhibition looks. I’m not sure when the images will be taken down, but if you wish to see them then you can visit when the club room of Smethwick Photographic Society is open, Monday and Thursday evenings from around 7:30pm onwards are generally good times. I hope you are pleased with your work-you deserve to be . It is an impressive display and shows just how talented you are! Tim, well done for getting this together in such a short time, know how much work is involved. Wish we were not so far away, would love to pop in. Hope it gets the appreciation that it deserves. Congratulations Tim, very impressive. Amazing how you managed to get that all done in such a short time. You don’t do anything by halves! Congrats Tim?